Gluten Free Philly: First Draft: Aurochs Brewing Co.
First Draft: Aurochs Brewing Co. 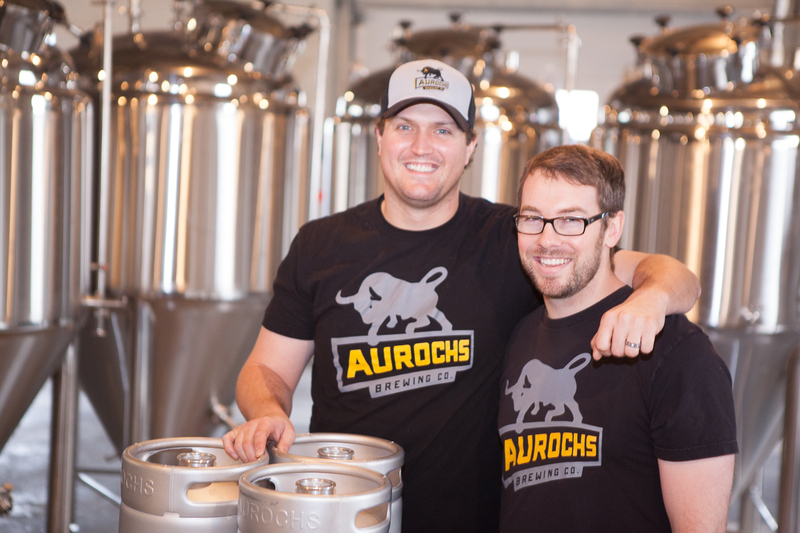 The first thing you'll notice about Aurochs Brewing Co.'s logo is the tenacious bull-like creature and the black-and-yellow color scheme. The colors represent Pittsburgh, where Aurochs is based, and the animal is an aurochs, an extinct super cow-like beast. As the brewery's founders explain: "We brew with ancient, untamed grains to impart complex flavors shaped by generations of growth in the wilderness. We develop our own unique, original recipes that hark back to a time when man and beast refused to give up a life of freedom." Aurochs' founders, Doug (who has celiac disease) and Ryan (diagnosed with gluten intolerance), are passionate about brewing great gluten-free beer. They produce only gluten-free brews in a dedicated gluten free brewery located outside of Pittsburgh, in Emsworth, Pennsylvania. Their dedication to quality and uncompromising flavor comes through loud and clear in their beers. Session IPA (4.6% ABV): After years of big, strong, high-alcohol beers serving as the go-to for craft beer lovers, session beers have been gaining popularity. As the name suggests, session beers are intended for drinkers to be able to enjoy more than one in a sitting without compromising taste or complexity. 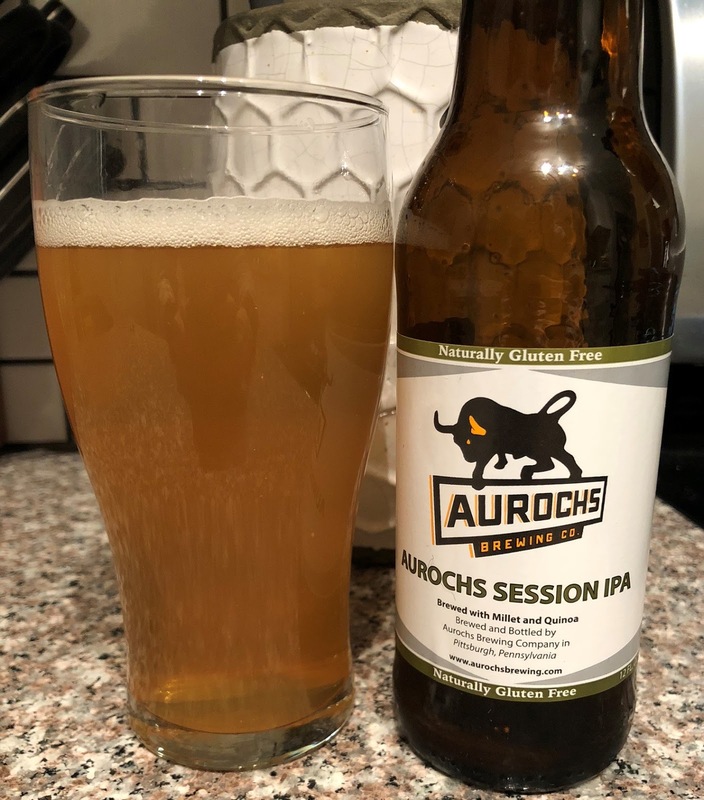 Aurochs Session IPA lives up to that promise. It has a great hop nose with a piney-citrus bite that cleans up nicely. This is in sharp contrast to many gluten-free IPAs that tend to be syrupy and thick. Enjoy this with your favorite gluten free pizza or BBQ. Blonde Ale (4.6% ABV): Aurochs Blonde Ale is a light and citrusy brew that reminds me of a Belgian Blonde. Banana and sweet lemon flavors dominate. Mouthfeel is light, making this an extremely drinkable beer. This beer pairs well with any light food like chicken or salmon. If you're into spicy foods, this brew will cut through the heat and bring balance. 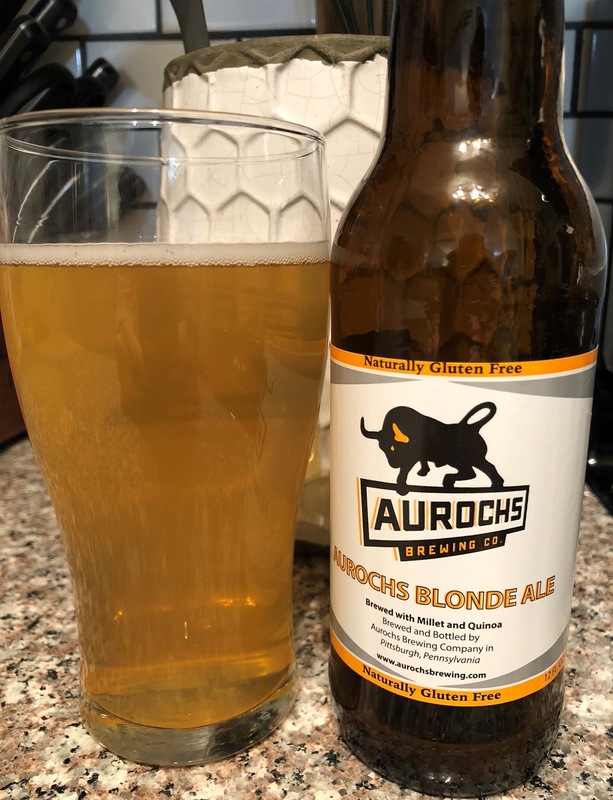 The Blonde Ale and Session IPA, Aurochs' first two bottle offerings, will soon be available in the Philadelphia area, including at the all-gluten-free Farmers Keep in Center City (10 S. 20th St., 215-309-2928). (Check the beer finder option on the brewery's website for all locations.) I hope to see more of their beers this side of Pennsylvania like their Cascadian Dark Ale and Porter, currently only on draft at their tap room in Emsworth.